The 2007–2008 financial crisis and the European debt crisis both had a substantial impact on the Portuguese economy and the consequences of it are still being felt, particularly in the financial system. These crises also had a decisive influence on setting the trend of the banking disputes that have been pending in the Portuguese courts ever since. The following three groups of cases have set the trend for banking litigation in Portugal in recent years: (1) disputes related to swap agreements executed between banks and state-owned companies or private entities; (2) disputes related to the amendment of finance agreements; (3) disputes related to the mis-selling of investment products by banks; and, more recently, (4) disputes to waive the banking privilege. Disputes related to the validity of swap agreements, in particular interest rate swap agreements, have been in the spotlight in Portugal in recent years. The media focused on this controversial issue because of the large sums involved in swap agreements entered into by several banks and state-owned companies before the 2008 crisis, who faced significant pressure from the beginning of 2009 onwards when the Euribor rate fell to unprecedented values, bringing the mark-to-market of those contracts to a value that was highly unfavourable to investors and banks’ clients. Among the disputes related to swap agreements brought before the courts, three arguments can be distinguished that are invoked by the counterparties of the banks to challenge the validity of swap agreements. First, swap agreements have been challenged by several parties based on the theory of the unexpected change in the circumstances during the negotiation of the agreement, as per Article 437 of the Civil Code.2 The Supreme Court deemed this argument valid in one case, annulling the relevant swap agreement, in a decision of 10 October 2013.3 This argument was also deemed valid on two occasions by the courts of appeal (second instance courts).4 These decisions considered that the drastic fall in interest rates after the financial crisis led to huge losses for the counterparties of the banks, causing an imbalance between the parties of the swap agreement that were not covered by the normal risks of this type of agreement. Thus, owing to such an unexpected and unreasonable change of circumstances, the Supreme Court considered that the provision of Article 437 of the Civil Code was fulfilled, allowing the aggrieved party to terminate the swap agreement. However, since the beginning of 2015, the courts of appeal, notably the Lisbon Court of Appeal,5 have repeatedly considered that the fall in interest rates after the financial crisis should not be deemed an unexpected change of the circumstances under the legal regime set out in Article 437 of the Civil Code. This understanding has also been confirmed by the Supreme Court6 upholding the validity of the swap agreements at stake. Secondly, some swap agreements have also been challenged on the ground of their alleged speculative nature. In this context, the counterparties of the banks invoked two different causes of nullity of the swap agreements: (1) the violation of public policy, which renders the agreement null under Article 280 of the Civil Code; and (2) the qualification of swap agreements as gaming and wagering agreements, which are considered null and void under Portuguese law. Thirdly, the nullity of the swap agreements has also been invoked before the courts based on error in negotio, and the invalidity of standard form agreements based on the lack of information that should be provided by the banks and other financial institutions under the legal regime of general contractual terms. However, this argument has not been generally upheld by superior courts.12 Nevertheless, in a very recent case,13 the Supreme Court decided that there was a breach of the information duties under the legal regime of general contractual clauses, and considered that the client was not properly informed of the precise terms of the swap or the associated risks. The validity of the jurisdiction clauses contained in swap agreements has also been discussed before the Portuguese courts – see Section V, below. In recent years, there was some litigation before the Portuguese courts about the amendment of finance agreements. Several debtors have filed lawsuits against the banks in which it has been argued that the financial crisis should be considered as an unexpected change in the circumstances considered during the negotiation of the agreement, which, in turn, would require the amendment of such agreements. The number of disputes related to the breach of duties attributed to financial intermediaries also increased in Portugal because of the financial crisis. In fact, the market turmoil affected several investment products sold by banks to clients, which, in turn, raised questions about the role of banks acting as financial intermediaries. In this context, numerous mis-selling claims have been started by clients against banks in the past few years and have, since then, been judged. In particular, the focus has been on the adequacy and completeness of the information provided by banks to clients. The approach of Portuguese courts to these cases has evolved over time. Portuguese courts have typically been keen to protect individual investors, notably when banks have breached their duty to provide investors with adequate and complete information about the products sold. 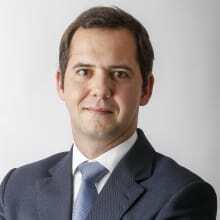 Take, for instance, the most recent judgment on the matter – the decision of the Lisbon Court of Appeal of 22 February 2018.21 In this case, a bank’s official persuaded an individual client22 to invest his savings (in the amount of €100,000) in junior bonds, comparing their risk to that of a regular term deposit. By failing to provide the due gains to the client, the bank was held liable to repay the client the due principal amount applied, as well as interest accrued and guaranteed (€115,000). The relevance that the resolution measures have assumed should also be noted – see Section II, below – in the context of these disputes. In fact, many proceedings have been recently decided (and terminated) by taking into account the effects of these regulatory acts of the Bank of Portugal (BOP), namely the power to establish the ‘perimeter’ among assets and liabilities to be transferred (or not) from the ‘bad bank’ to the ‘good bank’. This has been shown to be a very contentious issue, considering the impact that the non-transfer of a mis-selling liability poses to investors. Lisbon Court of Appeal of 7 March 2017,25 in which the applicants alleged that they were pressured to acquire a financial product, the details of which were not disclosed to them. The resolution tools set out in the RGICSF, as foreseen in the BRRD, are: (1) the sale of business tool; (2) the bridge institution tool; (3) the asset separation tool; and (4) the bail-in tool. Thus far, the bridge institution tool has been applied to BES, and the sale of business and asset separation tools to Banco Internacional do Funchal (Banif), a Portuguese bank to which a resolution measure was applied in December 2015. Finally, the Portuguese banking resolution regime contains a specific provision governing the right of appeal of resolution decisions, which is aligned with Article 85, No. 3 of the BRRD. This provision specifies that the decisions of the BOP that apply resolution mechanisms, exercise resolution powers or appoint board members can be challenged under the general administrative procedural rules.40 It further states that if a ruling41 declares that a BOP decision is void, the BOP can oppose the enforcement of such ruling, following which compensation will be due to those affected by ruling not being enforced. As mentioned above, several actions were started before Portuguese administrative courts seeking the annulment of the BES resolution decision, but it may take some years before a decision is made. Also noteworthy was the issuance of Decree-Law No. 74-A/2017 of 23 June 2017 on the credit contracts relating to immovable property, establishing the rules applicable to consumer credit when secured by mortgage or other rights over immovable property – which partially implements Directive 2014/17/EU of the European Parliament and of the Council of 4 February 2014. The law, which entered into force on 1 January 2018, foresees a set of rules concerning credit agreements, focusing on the protection of consumer rights and personal guarantors and thus foreseeing a set of duties encumbered on the creditor (duty to assist the consumer, under Article 14; duties to evaluate the debtor’s solvency, and the immovable properties’ value, under Article 16 et seq. ; and the duty to adhere to alternative dispute resolution mechanisms). The breach of the provisions of the referred Decree-Law by creditors is punishable with fines amounting from €1,000 to €1.5 million. Directive 2014/17/EU became fully implemented with Decree-Law No. 81-C/2017 of 7 July 2017 on the credit intermediary activity and the provision of advisory services in relation to credit agreements concluded with consumers. The Decree-Law establishes the need for intermediaries to apply for authorisation to perform their activity, under Article 11 et seq. ; and technical and reputational requirements to perform their activity, under Articles 12, 13 and 14; among other provisions regulating the intermediary and consultancy activities. The breach of the provisions of the referred Decree-Law by creditors is punishable with fines amounting from €750 to €250,000. Lastly, the approval of a series of new laws regarding information duties and compliance of the financial institutions should also be noted, namely: (1) Law No. 83/2017 of 18 August 2017, which establishes measures on the prevention of the use of the financial system for the purposes of money laundering or terrorist financing, implementing the widely acknowledged Directive (EU) 2015/849 of the European Parliament and of the Council of 20 May 2015; (2) Law No. 89/2017 of 18 August 2017 on the beneficial owner regime and registry, implementing Chapter III of Directive (EU) 2015/849; (3) Law No. 30/2017 of 30 May 2017, on the freezing and confiscation of instrumentalities and proceeds of crime in the implementing Directive 2014/42/EU of the European Parliament and of the Council of 3 April 2014; and (4) Law No. 109/2017 of 24 November 2017, implementing the 45th amendment to the RGICSF on conflicts of interests and reputation. The Code of Civil Procedure sets forth a wide range of interim relief measures in order to ensure the effectiveness of the final decision adopted by the court. In general, the court may order an interim relief measure if a party suffers serious damage that is the result of a threat to the effectiveness of its rights, and that is difficult to repair. Interim relief measures may be statutory or non-statutory. Statutory measures are specified in the Code of Civil Procedure – for example, freezing orders, provisional restoration of the possession of assets and suspension of corporate bodies’ decisions. Non-statutory measures may consist of any type of measure aimed at securing the effectiveness of the affected right. In order to apply for an interim relief measure, a party must submit a request to the court either in the course of an ongoing judicial lawsuit or in advance of commencing the main proceedings. The interim relief measure is therefore generally linked to main proceedings. According to the Civil Procedure Code, the court may, under certain circumstances, turn the interim relief measure into a final decision, in which case the defendant will have the burden of initiating a new lawsuit in order to challenge said measure. On 18 January 2017, Regulation (EU) No. 655/2014 of the European Parliament and of the Council of 15 May 2014 (the Regulation) entered into force establishing a European Account Preservation Order (EAPO) procedure to facilitate cross-border debt recovery in civil and commercial matters. The Regulation creates a European procedure as an alternative to national procedures, which will only be applicable in cross-border cases. This procedure enables a creditor to obtain an EAPO that prevents the subsequent enforcement of the creditor’s claim from being jeopardised through the transfer or withdrawal of funds up to the amount specified in the EAPO that are held by the debtor or on his or her behalf in a bank account maintained in a Member State. In order to obtain an EAPO, the creditor has to submit sufficient evidence to satisfy the court that there is an urgent need for a protective measure in the form of a preservation order because there is a real risk that, without such a measure, the subsequent enforcement of the creditor’s claim against the debtor will be impeded or made substantially more difficult. Where the creditor has not yet obtained a judgment in a Member State, or court settlement or an authentic instrument requiring the debtor to pay the creditor’s claim, the creditor shall also submit sufficient evidence to satisfy the court that he or she is likely to succeed on the substance of his or her claim against the debtor. This is an ex parte procedure, which means that the debtor shall not be notified of the application for a preservation order or be heard prior to the issuing of the order. Before issuing a preservation order in a case where the creditor has not yet obtained a judgment, court settlement or authentic instrument, the court shall require the creditor to provide security for an amount sufficient to prevent abuse of the procedure and to ensure compensation for any damage suffered by the debtor as a result of the order to the extent that the creditor is liable for such damage (by way of exception, the court may dispense with the provision of security if it considers it inappropriate in the circumstances of the case). Where the creditor has already obtained an enforceable judgment, court settlement or authentic instrument, the creditor may ask for information on whether the debtor holds one or more accounts in a specific Member State before a preservation order is issued, from the designated information authority of the Member State in which the creditor believes that the debtor holds an account. Banks have an obligation to declare whether and to what extent the order has led to the preservation of any funds of the debtor. Creditors have an obligation to ensure the release of any funds preserved that exceed the amount specified in the order. With regard to attorney–client privilege, confidentiality must be maintained in respect of facts of which a lawyer (a member of the Portuguese Bar Association) becomes aware during the course and as a result of the practice of his or her legal profession, pursuant to the Portuguese Bar Association Professional Conduct Rules. The determining factor is not whether a certain document is in itself privileged, but that lawyers in Portugal are under a duty not to disclose confidential information. In addition, this privilege is non-waivable by the client, meaning that, even if the client releases the lawyer from the privilege obligations, the lawyer will still be bound to those obligations. The form of the information does not matter – as long as the information itself is privileged, the ‘document’ will be privileged. However, a lawyer in Portugal may disclose privileged information to the extent that it is absolutely necessary to preserve the lawyer’s or the client’s reputation, legal rights and legitimate interests, and provided that prior authorisation is obtained from the relevant entities of the Bar Association. Information disclosed in the context of a dispute in contravention to attorney–client privilege rules cannot be taken into consideration by the courts for the purposes of issuing a final decision. Privilege, as set out by Portuguese law, applies to all lawyers registered with the Portuguese Bar Association in the practice of their profession, both in Portugal and abroad. Likewise, the aforementioned rules also apply to EU lawyers who practise their profession in Portuguese territory, as long as they are members of a foreign bar association. Foreign lawyers exercising their profession in foreign territories are not bound by Portuguese law provisions on privilege. However, if a document is produced by a foreign lawyer in a foreign territory at the request of a Portuguese lawyer, Portuguese provisions on privilege will apply. The doctrine of privilege is respected and applied in Portugal. However, where a judge wants a lawyer to testify in criminal proceedings, the Portuguese Bar Association must present a written opinion beforehand regarding privilege issues. In relation to criminal and other investigations carried out by regulatory authorities, the investigative bodies generally require judicial authorisation before searching premises and seizing documents. When the search is carried out in a lawyer’s office, it must be led by the judge, and the presence of a Portuguese Bar Association member is always required. They may interview lawyers and request disclosure of information or documents relevant to the inquiry. A breach of attorney–client privilege is a very serious offence. Not only can it constitute grounds for a lawyer to be disbarred from the Portuguese Bar Association, which would mean being prohibited from practising in Portugal, but it can also give rise to criminal charges. The issue related to the validity of the jurisdiction clauses and choice of law – usually English jurisdiction and English law – in swap agreements was one of the most disputed and publicised issues brought before the Portuguese courts recently. Most of the swaps agreements entered into with state-owned companies, and some of those entered into by private parties, were subject to English law and jurisdiction – normally because of the fact that they were made with reference to the 1992 International Swaps and Derivatives Association (ISDA) Master Agreement (Multicurrency Cross-Border form). It is possible to identify two different kinds of issue: the issue brought before the Portuguese courts and related to the choice of jurisdiction, and the issue brought before the foreign courts and related to the choice of law. The validity of jurisdiction clauses included in swap agreements has been broadly discussed by the Portuguese courts. It is invoked by the aggrieved parties – considering the argument of the banks that the Portuguese courts do not have jurisdiction in the disputes involving swaps agreements under which a foreign jurisdiction was chosen – that the swap agreements are subject to the legal regime of the general contractual clauses, under which the choice of foreign jurisdiction would be invalid as it would cause serious inconvenience to one of the parties. the fact that the Portuguese bank entered into back-to-back hedging contracts with a Spanish group entity in circumstances where such arrangements were routine. 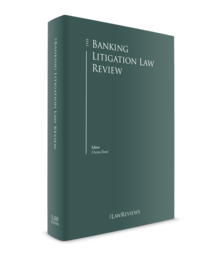 As examined in this chapter, banking litigation in Portugal in recent years has been considerably influenced by the financial crisis. In this context, swap agreements and the mis-selling of investment products by banks shall be highlighted as an important source of litigation involving banks. We believe that this trend will continue in the coming years. It is important to note that the fall of BES in August 2014 and of Banif in December 2015 has generated numerous disputes, most of which are still pending in the first instance courts. We firmly believe that the core of banking litigation in Portugal in the coming years will be determined by such disputes. the asset-separation criteria used by the BOP are also in the spotlight and there are several lawsuits, with significant amounts at stake, where such criteria are being discussed, particularly in cases where the BOP has decided that debts held by banks to which a resolution measure was applied should stay with the ‘bad banks’. We also envisage that there will be litigation in relation to the liability of directors, senior managers and auditors of the banks that have been subject to a resolution measure. Finally, another source of potential litigation in the coming years will be the nature and qualification of credits held by banks over insolvent companies, particularly in cases where the bank’s role in these companies was not limited to that of a finance partner, but was also to have a substantive controlling influence on the activity of those companies. 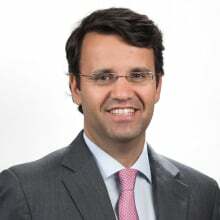 1 Nuno Ferreira Lousa is a partner and Manuel de Abreu Castelo Branco is a managing associate at Linklaters LLP. The authors would like to thank Francisco Amaral for his important contribution to this chapter. 3 Decision of the Supreme Court of Justice of 10 October 2013 (proceedings No. 1387/11.5TBBCL.G1.S1). 4 Decision of the Guimarães Court of Appeal of 31 January 2013 (proceedings No. 1387/11.5TBBCL.G1); decision of the Lisbon Court of Appeal of 8 May 2014 (proceedings No. 531/11.7TVLSB.L1-8). 5 Namely, the decisions of the Lisbon Court of Appeal of 15 January 2015 (proceedings No. 876/12.9TVLSB.L1-6), 2 July 2015 (proceedings No. 2118-10.2TVLSB.L1.-2) and 10 May 2016 (proceedings No. 1246/14.0T8PDL.L1-7). 6 Decisions of the Supreme Court of Justice of 26 January 2016 (proceedings No. 876/12.9TVLSB.L1.S1), 22 June 2017 (proceedings No. 540/11.6TVLSB.L2.S1) and 8 June 2017 (proceedings No. 2118/10.2TVLSB.L1.S1). 7 Decision of the Supreme Court of Justice of 29 January 2015 (proceedings No. 531/11.7TVLSB.L1.S1). 8 Decision of the Lisbon Court of Appeal of 21 March 2013 (proceedings No. 2587/10.0 TVLSB.L1-6). 9 Decision of the Oporto Court of Appeal of 28 October 2015 (proceedings No. 27/14.5TVPRT.P1). 10 Decisions of the Supreme Court of Justice of 11 February 2015 (proceedings No. 309/11.8TVLSB.L1.S1) and 3 May 2016 (proceedings No. 27/14.5TVPRT.P1.S1). 12 Decisions of the Lisbon Court of Appeal of 2 July 2015 (proceedings No. 2118-10.2TVLSB.L1.-2) and 27 September 2016 (proceedings No. 1961/13.5TVLSB.L1-1); decisions of the Supreme Court of Justice of 16 June 2015 (proceedings No. 1880/10.7TVLSB.L1.S1) and 8 June 2017 (proceedings No. 2118/10.2TVLSB.L1.S1); and decision of the Guimarães Court of Appeal of 25 January 2018 (proceedings No. 1122/14.6TBBRG.G1). 13 Decision of the Supreme Court of Justice of 4 April 2017 (proceedings No. 1961/13.5TVLSB.L1.S1). 14 Decisions of the Supreme Court of Justice of 10 January 2013 (proceedings No. 187/10.4TVLSB.L2.S1) and 27 January 2015 (proceedings No. 876/12.9TBBNV-A.L1.S1) and decision of Oporto Court of Appeal of 6 June 2016 (proceedings No. 4463/14.9TBVNG-A.P1). 16 This decision prompted an important dissenting opinion statement by one of the judges (Counselling Judge Abrantes Geraldes) that was followed with other decisions of the Supreme Court and Courts of Appeal. According to this statement, the decision of the Supreme Court was wrong because, among other reasons, it did not establish a sufficient connection between the breach by the bank of its financial intermediary duties and the damages caused by the investment product as a consequence of the financial crisis. 18 Decision of the Coimbra Court of Appeal of 15 December 2016 (proceedings No. 377/12.5TVPRT.C2). 19 This kind of discussion will continue, especially as a result of the financial crisis that led to the application of the resolution measure to Banco Espírito Santo in August 2014. 20 Decision of the Oporto Court of Appeal of 30 May 2017 (proceedings No. 588/11.0TVPRT.P1) and decision of the Coimbra Court of Appeal of 16 January 2018 (proceedings No. 3906/10.1T8VIS.C1). 22 The court emphasised the fact that the bank’s official knew that the client possessed no particular qualification to understand the various forms of financial products was relevant. 26 The resolution measures have, thus, been challenged on several grounds, namely based on several rights foreseen in the Portuguese Constitution (CRP): (1) ownership rights under Article 62 of the CRP; (2) principle of equality, under Article 13 of the CRP; (3) principle of proportionality; and (4) confidence protection, among others – all of which have been continuously rejected by the high courts. 27 See MOU available on http://ec.europa.eu/economy_finance/eu_borrower/mou/2011-05-18-mou-portugal_en.pdf, p. 7 and Decree-Law No. 31-A/2012 of 31 March 2012. 28 Decree-Laws Nos. 114-A/2014 of 1 August 2014 and 114-B/2014 of 4 August 2014; and Law No. 23-A/2015 of 31 March 2015. 29 Such objectives are, pursuant to Article 145-C of the RGICSF, to ensure continuity of essential financial services; to avoid serious adverse effects on financial stability; to protect taxpayers and public funds; to protect depositors covered by Directive 2014/49/EU and investors covered by Directive 97/9/EC; and to protect client funds and client assets held by financial institutions. 30 Article 145-E, Paragraphs 2 and 145-C RGICSF. 31 Article 145-Q, Paragraph 4, sub-paragraph c) RGICSF. 32 Article 145-Q, Paragraph 7 RGICSF. 33 Article 145-Q, Paragraph 3 RGICSF. 35 See the BOP’s resolution available on www.bportugal.pt/en-US/OBancoeoEurosistema/Esclarecimentospublicos/Documents/Deliberation20151229_retransfer.pdf and www.publico.pt/2017/04/03/economia/noticia/blackrock-quer-impugnar-venda-do-novo-banco-1767553. 36 See the BOP’s resolution available on www.bportugal.pt/en-US/OBancoeoEurosistema/Esclarecimentospublicos/Documents/Deliberation20151229_Perimeter.pdf and www.jornaldenegocios.pt/empresas/banca---financas/detalhe/grupo_de_investidores_da_oak_intenta_accao_contra_novo_banco_nos_tribunais_ingleses. 37 Although not focused on as much by the media, litigation has also been commenced on the same issues in relation to the resolution measure applied to Banif. 38 Article 145-D, Paragraph 1, sub-paragraph c) RGICSF. 41 Article 145-AR, Paragraph 3 RGICSF. 42 Decree-Law No. 149/95 of 24 June 1995, as amended. 43 A similar regime is applicable, under the terms of the Code of Civil Procedure, where the purchase price of an asset is due in full or in part. In these cases, the creditor can obtain the judicial seizure of the asset, without having to prove the just fear of loss of its patrimonial guarantee. However, in these situations, the asset stays under judicial protection and is not delivered directly to the creditor, as is the case in the financial leasing regime. 45 Decision of the Supreme Court of Justice of 11 February 2015 (proceedings No. 877/12.7TVLSB.L1-A.S1). 46 Decisions of the Supreme Court of Justice of 8 September 2015 (proceedings No. 542/14.0TVLSB-1), 26 January 2016 (proceedings No. 540/14.4TVLSB.S1), 4 February 2016 (proceedings No. 536/14.6TVLSB.L1.S1), 17 March 2016 (proceedings No. 588/13.6TVPRT.P1.S1) and 21 April 2016 (proceedings No. 538/14.2TVLSB.L1.S1).